bcbio calculates callable regions following alignment using goleft depth. 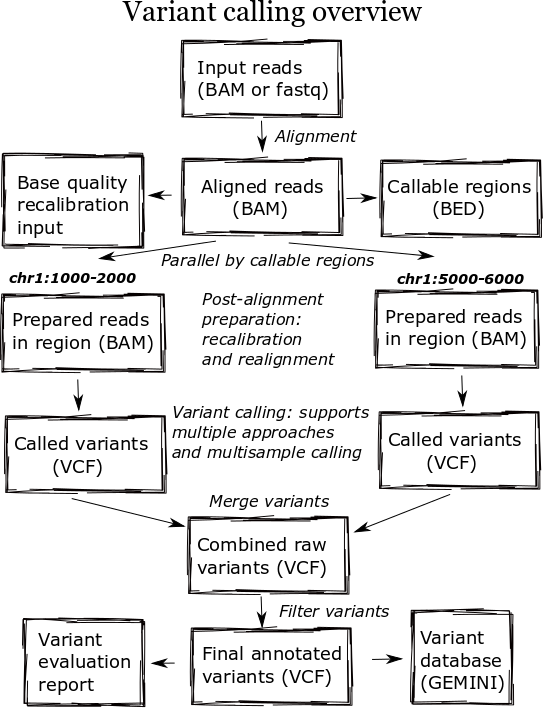 These regions determine breakpoints for analysis, allowing parallelization by genomic regions during variant calling. Defining non-callable regions allows bcbio to select breakpoints for parallelization within chromosomes where we won’t accidentally impact small variant detection. The callable regions also supplement the variant calls to define positions where not called bases are homozygous reference, as opposed to true no-calls with no evidence. The callable regions plus variant calls is an alternative to gVCF output which explicitly enumerates reference calls in the output variant file.